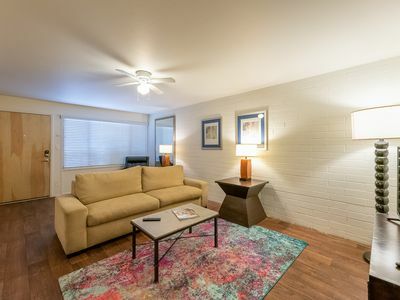 This end unit Townhouse is in the quiet, gated, Paradise View Villa's development and is centrally located to all the best Scottsdale has to offer. 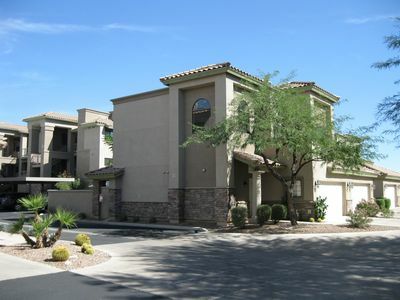 Next door is the Silverado Golf Club and Indian Bend Wash paved walking/biking trail. 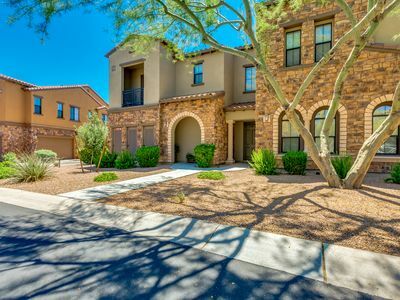 Minutes away, you will find the ELEGANT SHOPS and FINE DINING RESTAURANTS of the popular Kierland, Fashion Square and Seville shopping centers. Just down the street is Salt River Fields, the Spring Training Baseball home of the Arizona Diamondbacks and Colorado Rockies. Looking for additional activities? 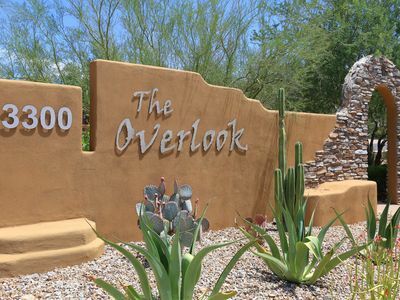 You are minutes away from the newly opened Odysea Aquarium, Top Golf, Talking Stick Casino, and the McDowell Sonoran Desert Preserve. 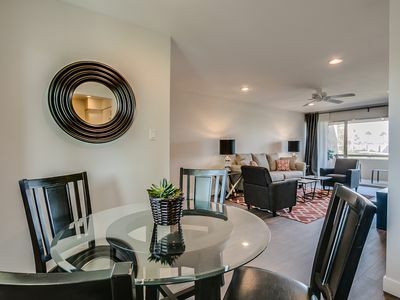 The 3 bedroom/3 bath unit comfortably sleeps 6. 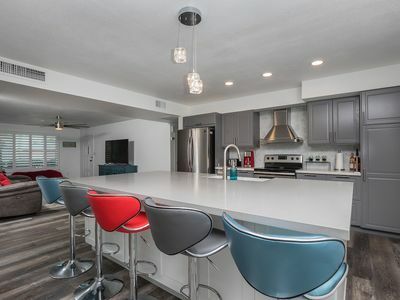 The updated kitchen features maple cabinets, granite counter tops, stainless steel appliances and is fully equipped and ready for entertaining. 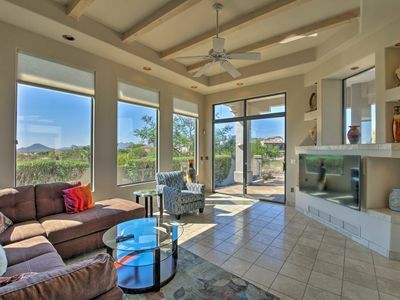 A raised granite eating bar separates the living room, which offers comfortable furnishings, HD Flat Screen TV, Stereo System, views and access onto the private patio. 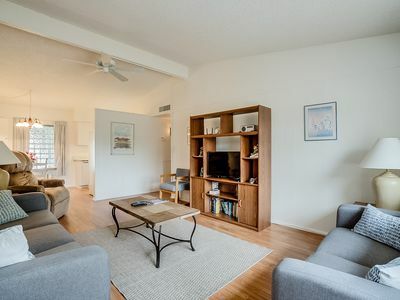 The master suite, located on the 2nd floor, is nicely furnished, including a King Bed, HD flat screen TV and secure access to a private balcony. The master bath has a jetted soaking tub, separate clear-glass shower, granite vanity counter top and two large closets with mirrored bypass doors. The 2nd guest bedroom has (1)twin bed plus a full bed/twin bunk bed set and a large closet. There is a second full bath upstairs with a tub/shower unit. The third bedroom is located on the lower floor and has a Sleeper couch enabling the room to be used as a study. A third full bath, with a clear-glass shower, serves the lower floor living area and bedroom. 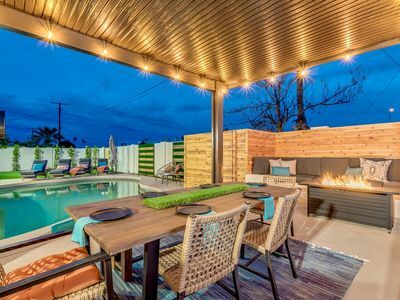 The large, outdoor private patio has a gas BBQ, a large Dining Table and Chairs...perfect for enjoying beautiful desert evenings. Steps away is the newly renovated community pool and spa featuring a travertine-paver patio, new outdoor furniture and community gas BBQ's. 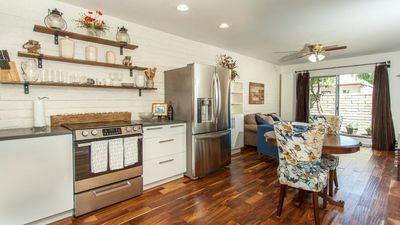 Other Unit amenities include: Dish Satellite Service, High Speed Wi-Fi Internet Service, Washer/Dryer unit and a Double Car Garage with direct access into the unit. 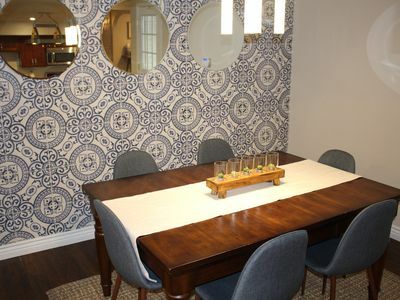 NOTE: PLEASE CONFIRM "ESTIMATED RENT AMOUNT" WITH OUR POSTED SEASONAL WEEKLY/MONTHLY RENT RATES. 2800sf luxury home on Legend Trail Golf/North Scottsdale/Pool/Spa ! 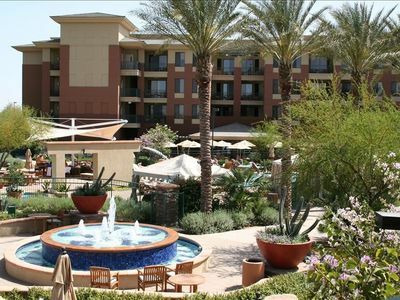 Westin Kierland Villas 2B/2B - Spring Break Mar 22-29, 2020 open!! 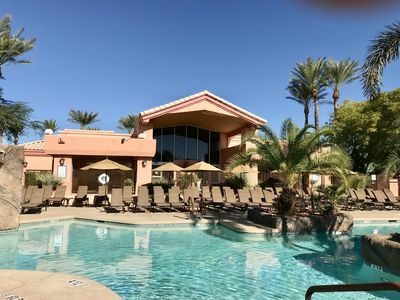 AMAZING 3BR POOL+HOT TUB+TENNIS NEAR OLD TOWN! Best location in Scottsdale Arizona. 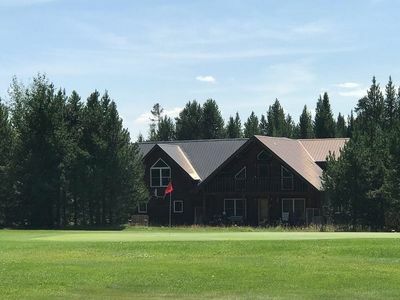 Mountain View Getaway-Spring Deals! Book Now!